Nestled in the tall pines, Hassayampa is graced with seasonal streams, dramatic boulder outcroppings, & commanding views. The community spans over 550+ acres of the old Hassayampa Country Club & surrounding area. 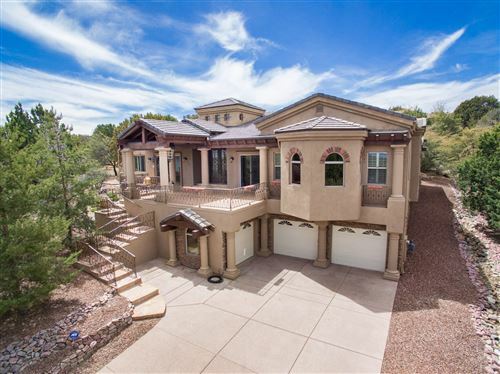 Hassayampa is one of Prescott's premier living communities. Established in the late 1990's by Desert Troon Companies, Hassayampa boasts a variety of gated, luxury home, town home & condominium neighborhoods. Home sites include "course-side", "in the pines", "bordering Prescott National Forest" & "hilltop and/or hillside" locations. Lots range in size, topography & privacy. Many boast panoramic views of the golf course, Thumb Butte, Granite Mountain, distant city lights and/or landmark mountain ranges. Buyers may choose from existing high end homes, new construction homes, lots for custom home construction or a variety of condominium & town homes. The architecture of the homes in Hassayampa vary, but most have an elegant western, rustic feel. The anchor of the community is the Hassayampa Club House and Fitness Center known as The Capital Canyon Club. The Capital Canyon Golf Course meanders through the community. An extensive trail system winds through the community and allows access to the Prescott National Forest. If you are seeking the serenity of living in the pines or are looking for quality homes with commanding views, Hassayampa is for you!